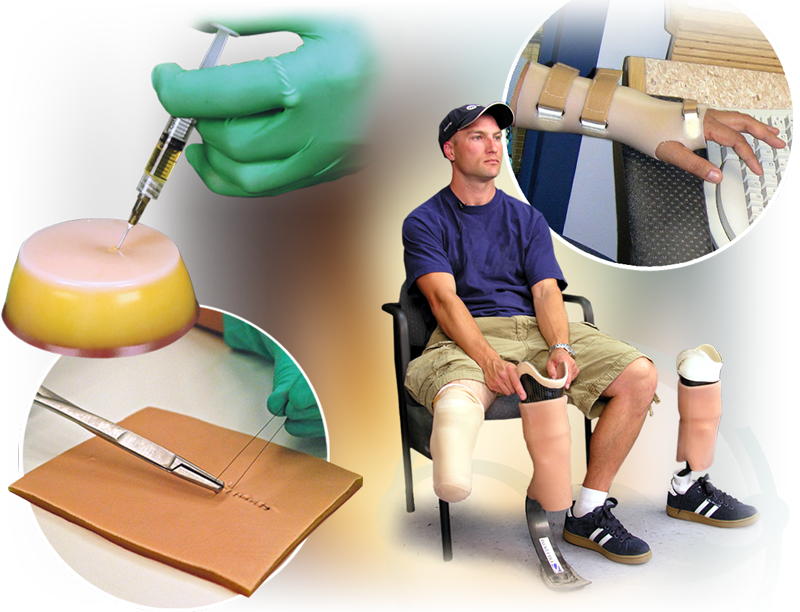 Medical Simulation & Orthotics/Prosthetics Tutorials by Smooth-On, Inc.
Make Your Own "Precise Response" Suture Pads, Needle Insertion Pads, Wound Care and Surgical Training Aids. Renew™ Materials are High Quality liquid RTV compounds which are used for fabricating a variety of custom and stock Prosthetics and Orthotics. In this medical simulation video tutorial, we demonstrate how to create a silicone suture training pad using a gel-filling technique. In-House fabrication of custom urethane AFO’s & WHO’s utilizing the vacuum-lamination technique. In-House fabrication of “A Custom Silicone Partial Foot Prosthesis” using the injection-molded technique. An in-depth presentation of the latest methods for fabricating "Custom Injection Molded Silicone Liners"
application of Renew™ Silicone Adhesive to a cushion liner so that the outer suspension sleeve can form a seal. Injecting skin safe Renew™ Silicone Replicator for a more comfortable and accurate prosthetic fit. SLIDE™ STD Liquid Surface Tension Diffuser is an additive for platinum cure silicone rubber. There are many benefits to making your own needle insertion training pads vs. using pre-made pads. This video demonstration shows how to make a silicone lifecast mold of a pregnant model. Silicone rubber and foam are applied to the mold surface to create a realistic pregnancy overlay. Watch how a medical training model is cast in resin.